The Saints are not a small caste of chosen souls but an innumerable crowd to which the liturgy urges us to raise our eyes. This multitude not only includes the officially recognized Saints, but the baptized of every epoch and nation who sought to carry out the divine Will faithfully and lovingly. We are unacquainted with the faces and even the names of many of them, but with the eyes of faith we see them shine in God’s firmament like glorious stars. 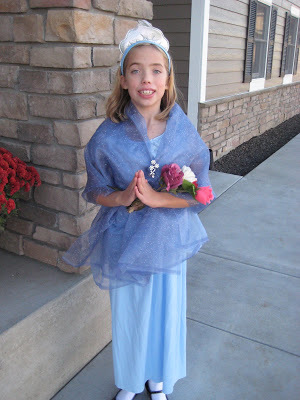 St. Elizabeth of Hungary, pray for us. St. Margaret Mary, pray for us. 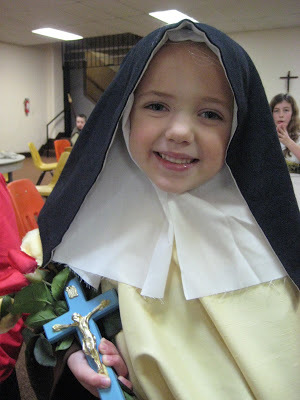 St. Therese of the Child Jesus, pray for us. All you holy men and women, pray for us. What an awesome school you have! 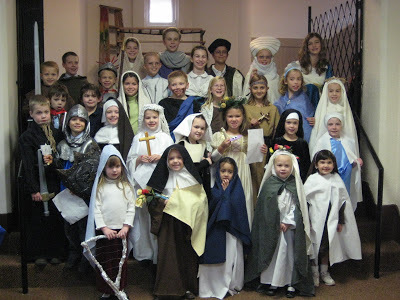 In all our years of Catholic grade school there was only one teacher who had the children dress up as a saint. 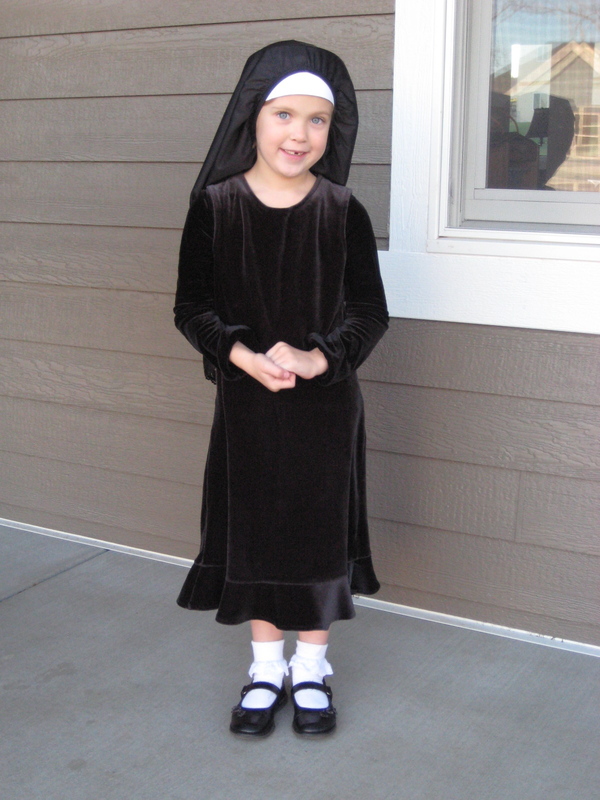 Your little Therese is precious. Beautiful pictures! Happy All Saints Day!! 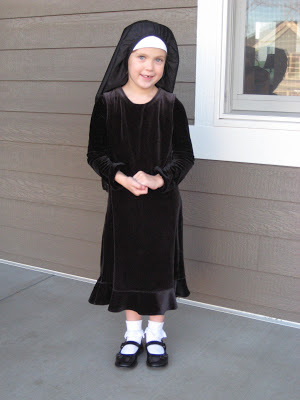 What a sweet little Therese!